The Summit offers a unique opportunity for a limited number of senior-level leaders to discuss issues, challenges and the future of health care delivery while sharing their experience, expertise and perspectives, and learning from each other’s insights, best practices and solutions. This is an invitation-only, highly interactive, exclusive peer-to-peer event is sponsored by American Marketing Association and hosted by Ramon Soto, Senior Vice President and Chief Marketing & Communications Officer for Northwell Health, New York State’s largest health system with 68,000 employees, 23 hospitals, more than 700 outpatient facilities, 5,000 volunteers and a medical school. The Summit will be held at Chelsea Piers Sunset Terrace, one of New York City’s most beautiful spots with panoramic views of the Hudson River, Statue of Liberty and passing ships. In addition to our several participant panels and a keynote by Northwell Health President & CEO Michael Dowling, our host is arranging special one-hour tours of the 911 Memorial Museum starting at 2:30 and 3:00 pm. If interested, please arrive by Sunday early afternoon for this pre-event. An invitation will be sent separately so we can get a count for the tours. For questions about the Summit event, contact Rhoda Weiss at Rhoda@rhodaweiss.com. If you need registration assistance, please reach out to customersupport@ama.org or 800-262-1150. We’ve secured an AMA room block at a special rate of $345 per night for single or double occupancy (excluding taxes and applicable fees). A $75 per person fee will apply for adding third and fourth guests to your room. These rates include complimentary wireless internet and access to the business center, fitness center and rooftop pool. Please reserve your overnight accommodations early as there are a limited number of AMA special rates available. 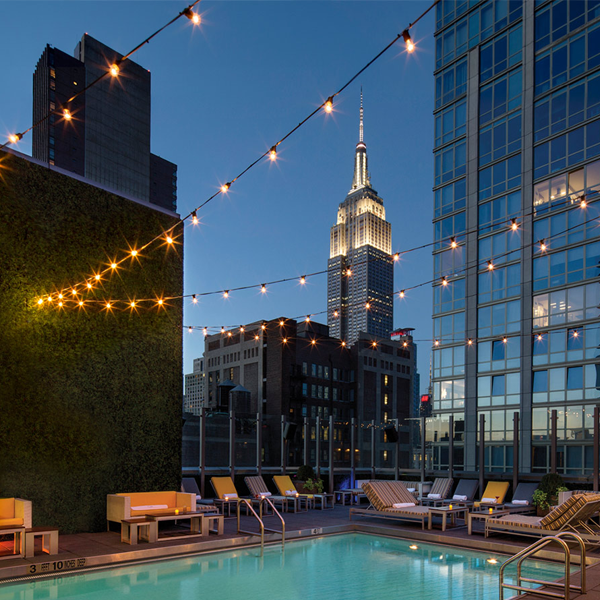 You can reserve your room by calling (212) 206-6700 (be sure to reference the American Marketing Association group rate). Please note: Any hotel room booked outside of the AMA negotiated block of rooms may not be eligible for the discounted rate and could have a different cancellation policy. The reservation cut-off date is Wednesday, May 20, 2019. The hotel offers 24-hour valet parking at a rate of $60 per night for a car and $65 per night for an SUV. In and out privileges do not apply and the rate is subject to change. Conference attire is business casual. Meeting rooms tend to be cool, so you may wish to bring a sweater or jacket. The AMA is committed to providing equal access to our meetings for all attendees. If you are an attendee with a disability and require program accommodations, please contact the AMA Support Center at (800) AMA-1150. A member of our staff will ensure that appropriate access arrangements are made. If you have specific disability-related needs for your hotel sleeping room, please be sure to communicate those directly to the hotel when you make your reservation. In an effort to provide the highest quality of service to all attendees, we require that details of all access requests be communicated to our office at least 14 days in advance of the beginning of the meeting.